Humility is as sacred to Chinese people as freedom is to Americans. It all goes back to Confucian thought. In the Analects, Confucius is quoted as having once said, “The firm, the enduring, the simple, and the modest are near to virtue.” In this fashion, Sandy Ma, owner of Joi Nail Spa in Berkeley, Calif., follows closely in the footsteps of her Chinese ancestors. Ask her whether her salon has any specialty services, and Ma responds, “I don’t think so, probably just standard.” Her answers are typically short and unassuming like this, but when it comes to her salon, Ma has simply overlooked the unique services her business provides to her community. Salon goers would be hard pressed to find a similar combination of distinctive services elsewhere. One of Joi’s most popular treatments is the L’Olive Cure Manicure, which works to moisturize dry hands and brittle nails with organic olive oil, unscented Shea butter, and tea tree oil. It serves as just one example of the success the salon has found in its emphasis on using natural products. “We try to be more organic and natural,” Ma says. “We just want to be able to offer clients an alternative. For some people, it’s a lifestyle to be eco-conscious and we want to be able to offer our service to them as well.” To keep the salon fume-free, no enhancements are offered. Another popular treatment is the Cocoa Au Lait Pedicure, which comes with an organic chocolate and coffee scrub and lotion. 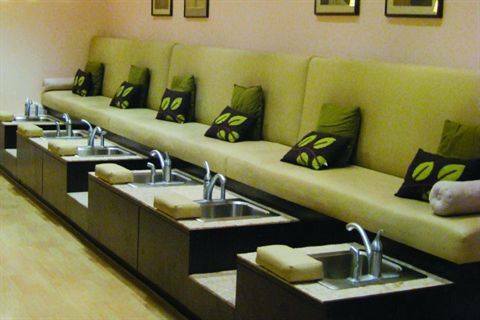 The salon also features formaldehyde-free nail polishes and uses an autoclave to sterilize tools. A spore test is conducted on a monthly basis to ensure that the autoclave is working properly to kill bacteria. Ma’s neighborhood on the outskirts of Berkeley has also influenced the array of services that are available at the salon. Ma estimates that about 80% of her clientele comes from the quiet, residential communities surrounding the salon, and that much of that 80% are mothers who bring their young ones along on salon visits. For this reason, Joi offers nail services to children. One of its most popular treatments, in fact, is the Little Princess Mani/Pedi, which is given to girls as young as 4. An abbreviated version of a full-range manicure and pedicure, the Little Princess leaves the cuticles untouched, but nails are filed, hands and feet are massaged, dead skin is removed with pumice, and feet are given a bubble bath. Sometimes, mothers even bring their children’s play dates along for manicures and pedicures, and the salon has even serviced boys as young as 7. Ma follows in the footsteps of her Chinese ancestors with more than just her humility. 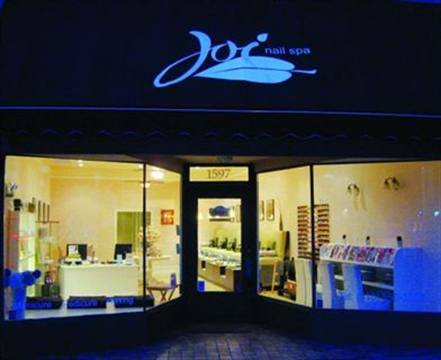 Although Joi Nail Spa looks like your average sleek and chic storefront nail salon, it offers Chinese foot reflexology with a professionally trained reflexologist from Beijing. It’s a rarity in the manicuring business, though Ma says, for her, it was a no-brainer. 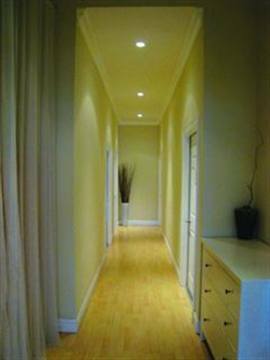 In addition to reflexology, Joi also offers six full-body massages including Swedish, deep tissue, prenatal, aromatherapy, shiatsu, and hot stone. Clientele wishing to receive a gentler session can choose the Swedish massage, which can be customized toward the needs of each individual customer to soothe muscle aches and tensions with rhythmic strokes. Others desirous of greater intensity would likely prefer the deep tissue massage, which uses deep finger pressure to relieve muscle soreness. With shiatsu, the palms, fingers, and knuckles stimulate circulation through the body’s acupoints, while the prenatal massage eases the weight-bearing joints and physical fatigue that mothers-to-be experience.